Corner hutches are an attractive blend of practicality, beauty and tradition. And due to their design they can easily be very useful while also being tucked away attractively into your corner. 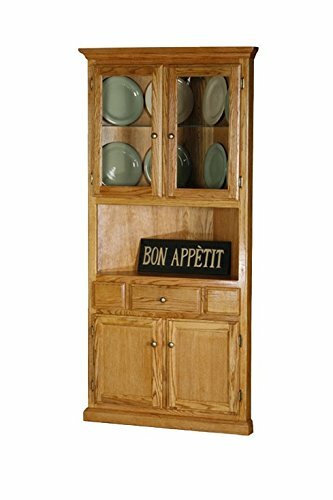 For example, in the kitchen, a small corner hutch cabinet can be a great place to put your dishes and cutlery. 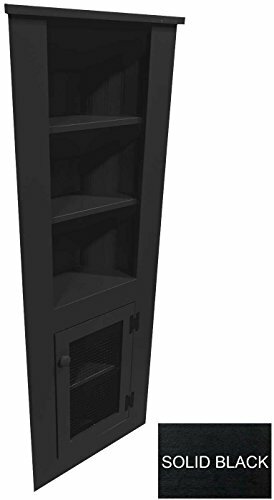 Some use it in the living room as corner storage cabinet. 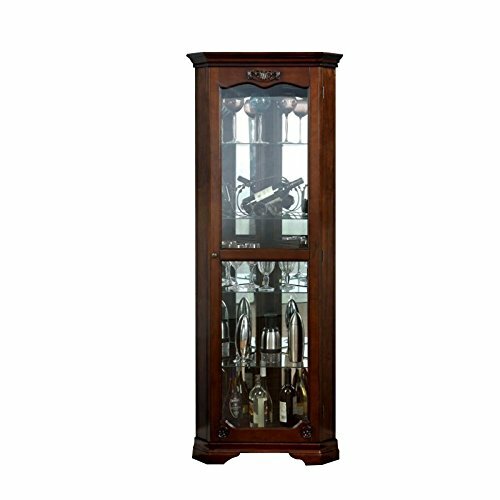 And for others it works well within their dining room corner cabinet ideas. Some corner hutches are of the shorter variety: For example, a short corner hutch can be used. Some place plants and pictures on the top of their short corner cabinet. But whatever our style we can find a corner hutch to suit. Please look over our curates styles and enjoy. To enhance your home office space you may want to check out our best desks for small spaces. 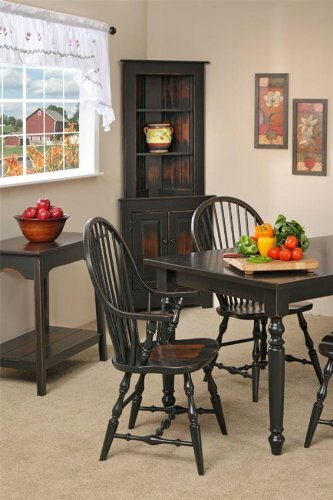 Solid Knotty Pine – Modest and rustic in the tradition of cottage style furniture. Dimensions: 16.5W x 16.5D x 72H in. 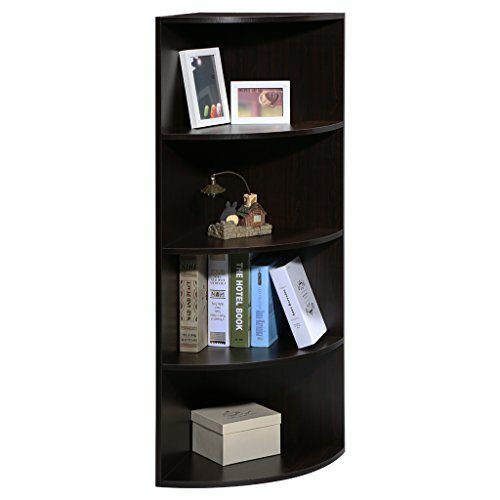 Dimensions: 11.5L x 11.5W x 76.75H in. 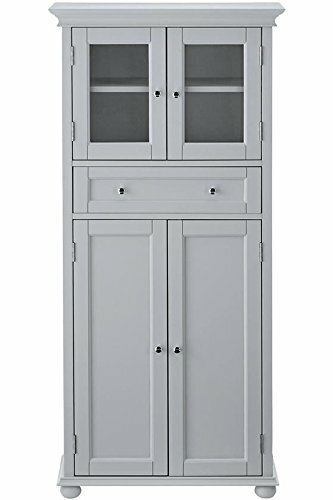 52.5″H x 25″W x 14″D. 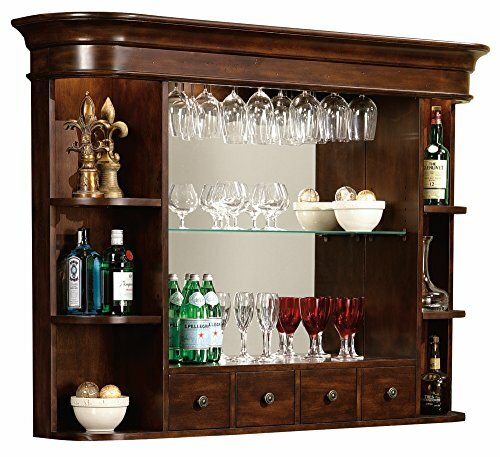 This back bar with soft, rounded corners can be added to the 693-006 Niagara Console Bar. 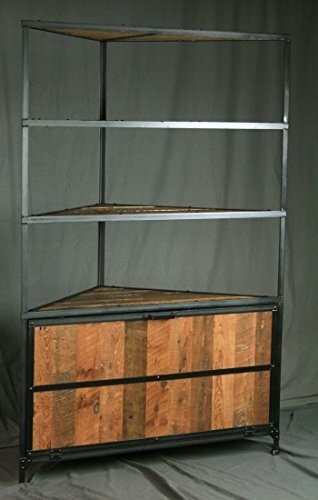 The back bar can be secured to the console with two metal brackets. Have you ever visited someone and you saw a piece of furniture placed at the corners? Well, it is most likely you saw a Corner Hutch. 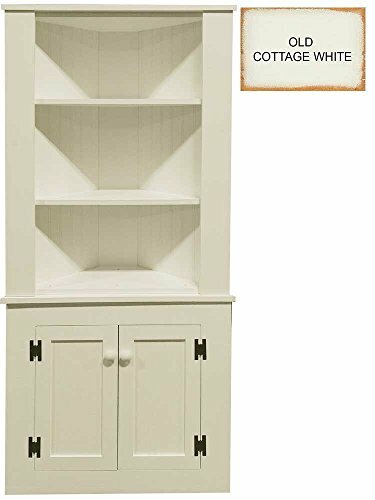 hutches are generally a set of cabinets or shelves placed on top of a lower unit that houses a counter and either cabinet or drawers. Hutches are mostly employed in the dining room, sitting room, in form of a desk and in the kitchen. 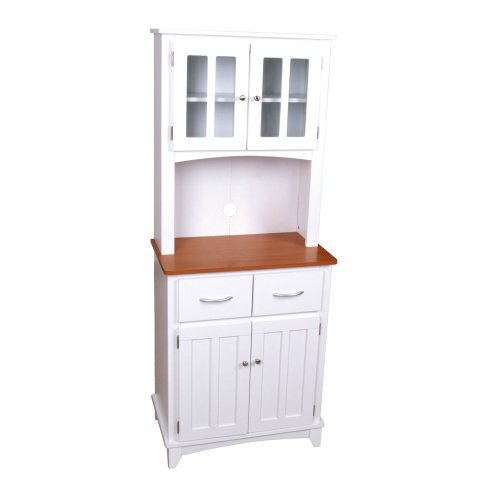 The term ‘hutch dresser’ is also used by furniture lovers to describe this type of furniture. It must have been for the reason of space saving or olden days home decorations that a clever craftsman came up with the ingenious problem-solving idea of redesigning the already existing 'hutches' to fit into the "corners" of the room, and it simply worked! 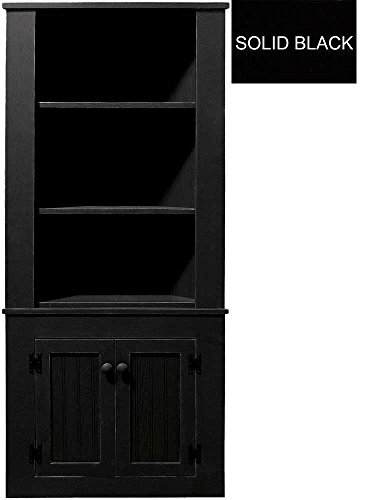 Corner hutch is a piece of cabinet-like furniture, mostly fabricated with wood, designed to turn the corner of a room into a useable space for keeping items. 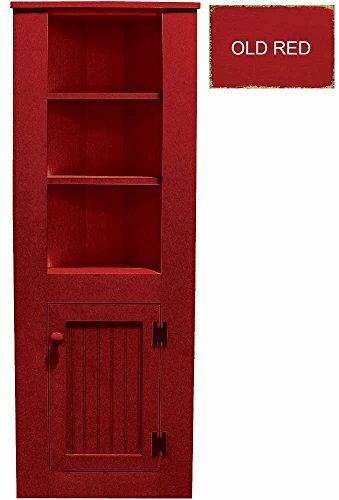 Corner hutch has most times been loosely used with words such as 'corner cabinet' or 'Chinese cabinet', however, the major difference is in their use. 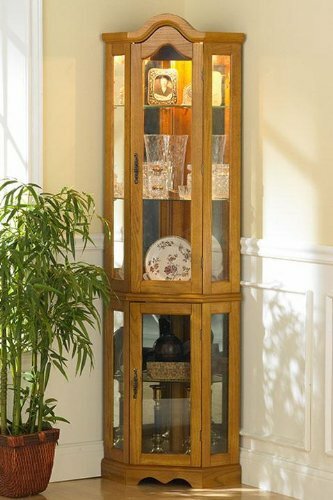 While the Chinese cabinets are designed to protect and display formal dinnerware and flatware and showing off family heirlooms to guests and visitors, the hutch, on the other hand, is a piece of multipurpose furniture that can be used anywhere in the house, and mainly for saving space. The 18th and early 19th-century hutches originally consisted of a tabletop set onto a base, which vertically pivoted to become the back of a settee or chair. This allowed the table to swing out of the way when it was not in use, especially when used in a multifunctional room. Some hutches even contained built-in desks with an area cut out for a chair. Although corner hutches could not be linked directly to any part of history, furniture men believe the ingenious space-saving furniture originated from France. Corner hutches are mostly made of two parts; the lower rigid part, and the upper display part. 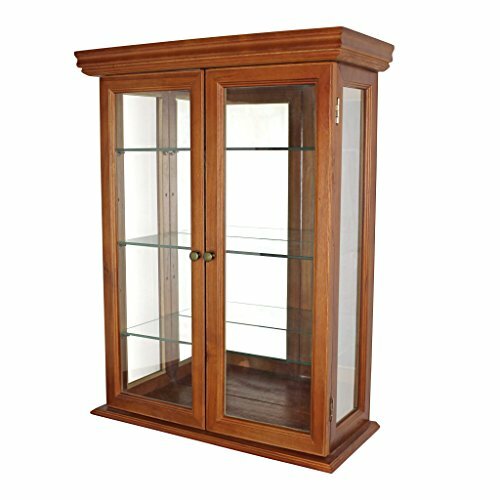 An upper part is typically a freestanding unit that contains cabinets, a display case, or both, and sits atop the lower half. The lower part of the corner hutch mostly houses cabinets, drawers, and even -whispers- secret storage! Interestingly, corner hutches are so useful that they can be found in any part of the house. 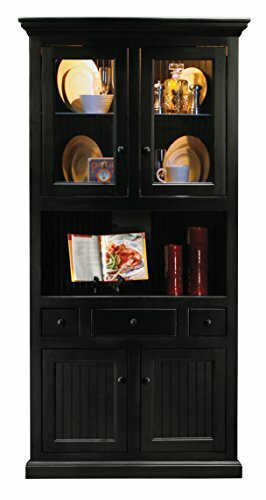 They can be used in one corner of your kitchen, like the 5-foot kitchen corner hutch, for holding dishes and utensils. 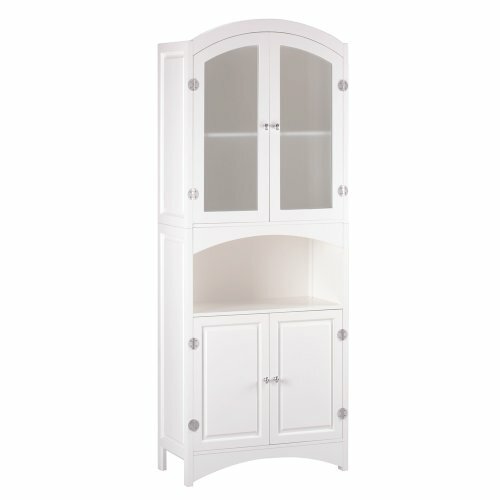 A corner hutch can be placed in the dining room to hold your cutlers and, perhaps, wine and wine glasses. Corner hutches have also found application in modern settings, as they are now being used by some offices to provide that extra space for an extra hand, or for item display. Corner hutches can also be incorporated in one corner of your sitting room to provide a display house for those beautiful antiques you have managed to lay your hands on. The goal of the fabricator of the first corner hutch must have been to convert a 'dead space' into useful space for storage, but however, he (or she.... Who knows!) 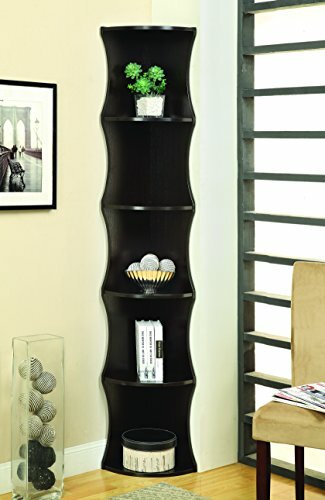 Doesn't only create corner storage, he also created a beauty! Corner hutches are always noticeable wherever they are used. 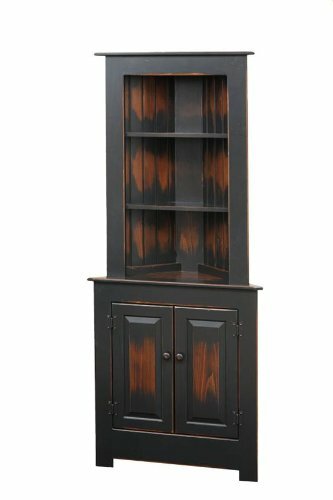 The design of corner hutch is simply artistry and unique! There are several designs and styles of corner hutches (displayed above) to suit uses and styles. The main parts are mostly made of timber and styled with metallic ornaments. The blend, material type, colour styles, and finishes can all be tailored according to the buyer's taste. Popular surface finishes are the natural cherry, light oak, Siena walnut, beech, slate, pewter and Hansen cherry finishes. 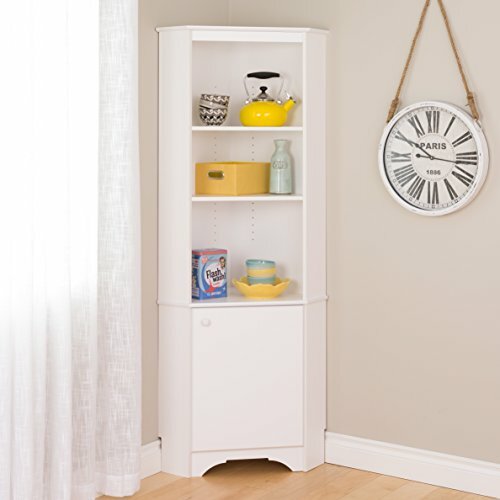 Moreover, the corner hutch can be painted to blend with your room! Modern corner hutches come with different internal components that take the creativity behind hutches to a whole new level. 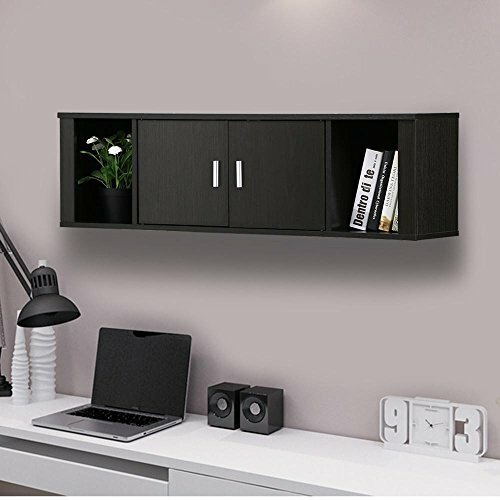 As small and little a corner hutch might look, it would be quite surprising to know that they can have up to 15 different compartments. 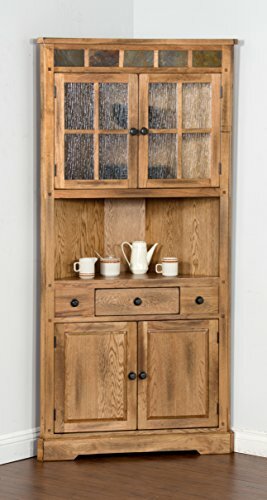 An open display cabinet with up to three compartments, an upper surface for your flower vase, a side drawer on both sides of the hutch, a drawer underneath the upper surface, a drawer underneath the dividing part (dividing the upper and the lower part of the hutch), a cabinet with up to two separate compartments in the lower part of the hutch, drawers on both sides of the lower part, and a drawer underneath the lower part. 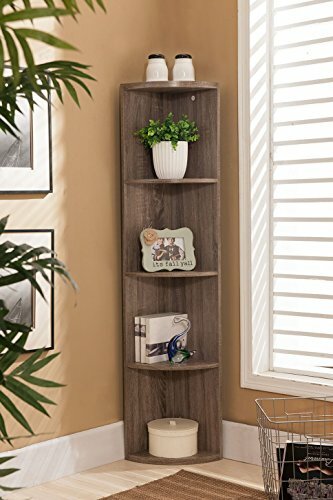 The corner hutch is just the perfect space saver! Many hidden compartments can now be secured with latest high digital security technology. 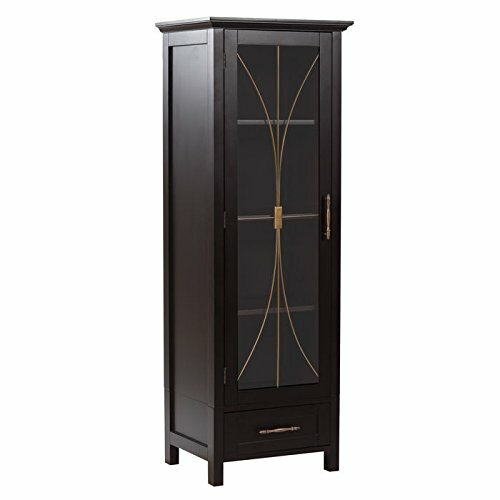 The numerous ways the corner hutch beautifies your room is really stunning! In the night or even daytime, the lighted corner hutches, like the southern enterprises lighted display cabinet, can create a stunning lightening effect to keep your room sparkling. While small corner hutches can be used as a hanger for your dresses, white corner hutches can be used to create the compelling magical blend of colours! Hoping you've found what you're looking for. 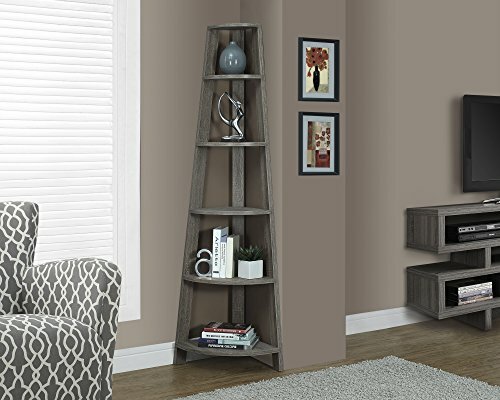 But if you need to find other corner storage options feel free to check out our corner armoires, corner entertainment centers and shoe cabinets. And if you have limited space but are looking to enhance your work space, check out our top choices for desks for small spaces.